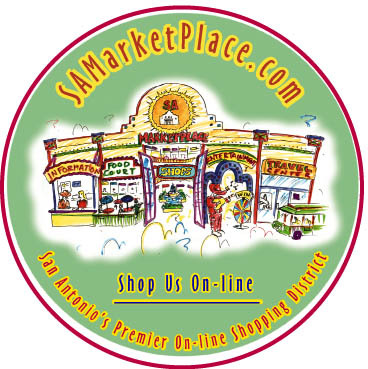 We're giving all our merchants a full-color SAMarketPlace sticker to display on your window, door or other prominent place. The sticker is designed to let your customers know your store, hotel, restaurant or services are part of San Antonio's largest on-line mall and available anytime night or day from anywhere in the world. We've also designed and produced counter cards your customers can take with them to remind them how to find you on-line when they get back home.